The series of photos above show Rothschild cincta from egg to adult. 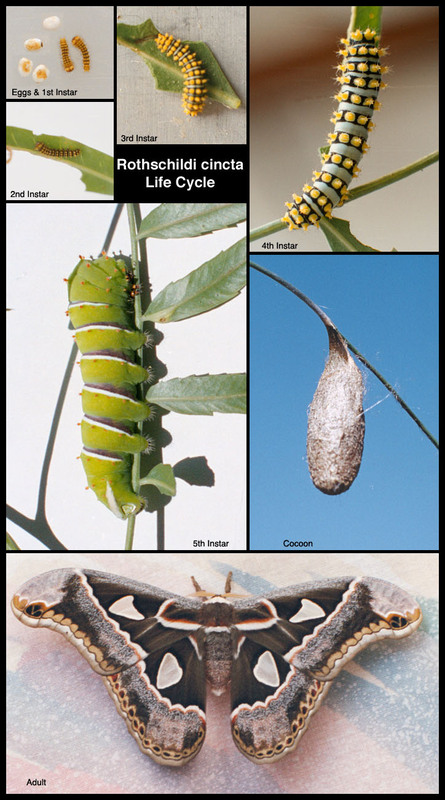 It takes about 10 days for the egg to hatch into a tiny caterpillar and about 5-6 weeks to grow into the full its size. I raised them on California Pepper and they seemed to do well. One adult hatched in about 2 weeks but the other didn't hatch until the following year.